Today kicks off the Blog Tour for Laura Purcell's novel, Queen of Bedlam, and I am thrilled to be hosting her with a fascinating guest post on her planned series of Georgian Women! I also have one copy of Queen of Bedlam up for grabs, so be sure to enter the giveaway. Check out the schedule of stops for Laura Purcell's Blog Tour and follow along in the fun! My novel Queen of Bedlam tells the story of Queen Charlotte and her six daughters, who struggled to cope with George III’s increasing madness. But these are only a few of the fascinating women in the Hanoverian dynasty. I have a Georgian series planned to cover the lives of the key women in every reign. Here is a taster of what lies in store. George I’s mother should have been the first Hanoverian monarch. Her ill-timed death, just a few weeks before that of Queen Anne, prevented her ascending the English throne. A granddaughter of James I through his daughter Elizabeth, Sophia was fiercely proud of her English heritage. She was sharp and witty, fluent in five languages and intellectually curious. Daughter to the Winter King and Queen of Bohemia, who lost their throne after just 15 months, Sophia was no stranger to hardship. Though she was the second-choice bride for her husband Ernest, and often had to endure him flouting a mistress, she had a happy marriage and many children. The women in George I’s love life were equally remarkable. He was married to his first cousin, Sophia Dorothea. Despite Sophia Dorothea’s initial dislike, the pair seemed to rub along well enough for a while, having two children. However, when George took up with mistresses, Sophia Dorothea mistakenly assumed she could do the same. Her lover mysteriously disappeared, and it was rumoured he was killed on the orders of either George of his father. 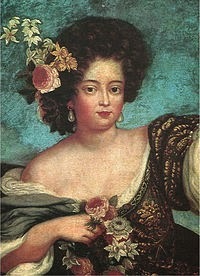 Sophia Dorothea was divorced and put under a kind of house arrest, never to see her children again. Into the vacant role of consort stepped George’s mistress, Melusine Schulenburg. Daughter of minor aristocrats, Melusine was to be the love of George’s life, although she was vilified by the English. Her court name was “the Maypole”, due to her unfashionable slim figure. Her success at court earned her a reputation for hoarding gold, but in fact Melusine was trying to ensure the security of her three illegitimate daughters. Fiery and tempestuous by nature, George II needed skilful women to manage his temper. His wife, Caroline of Ansbach, was remarkably successful at her task. It was generally assumed, during Caroline’s lifetime, that it was she ruled England through George. Born in Ansbach, Caroline was orphaned at the age of only thirteen. She became the protégée of her future husband’s aunt, who raised her to be fiercely intelligent. As a consequence, she has been called the cleverest queen consort ever to sit on the English throne. 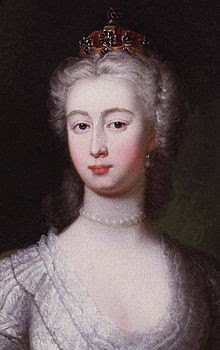 George II’s longest serving mistress was Henrietta Howard. Daughter of a baronet, Henrietta fell on hard times when her father died in a duel and her mother followed him to the grave a few years later. Aged 17, she married a seemingly dashing soldier, third son of an Earl, but he proved a drunken and abusive husband. In a bid to escape her husband’s creditors and earn a steady income, the pair fled to Hanover and became part of George II’s court. 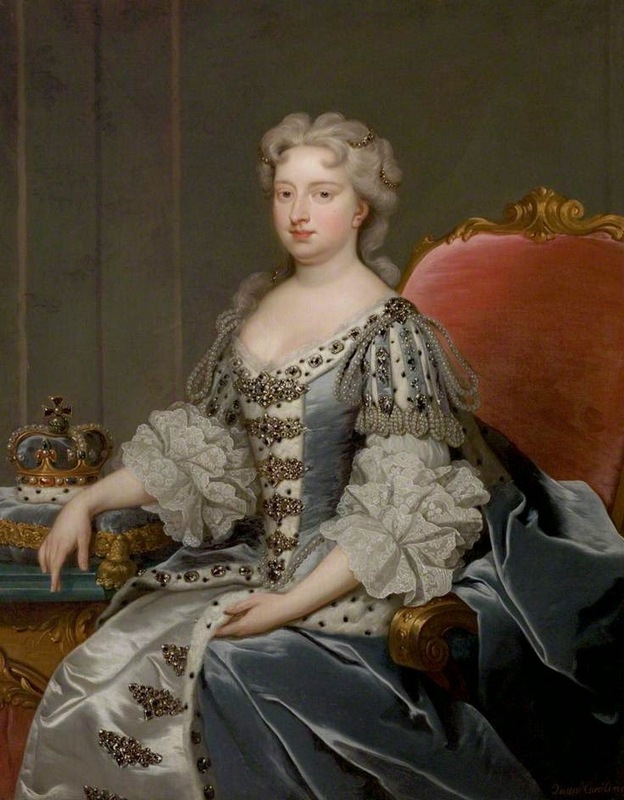 George III’s mother was another lost queen of the Hanoverian era. She came to England aged sixteen in order to marry Frederick, eldest son of George II. A shy, awkward girl, Augusta was backwards for her age and spoke no English. However, she succeeded in capturing the heart of her young groom and soon proved herself much smarter than people gave her credit for. Nicknamed “Princess Prudence”, she was one of the few people who managed to get along with both Frederick and his parents. Frederick’s untimely death left Augusta alone as mother to the new heir. Knowing her son was her trump card, Augusta became increasingly political and was a huge influence over George III in his early reign. 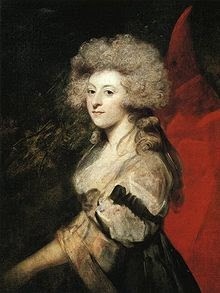 The love of George IV’s life was a twice-widowed Catholic lady, Maria Fitzherbert. Though her religion prevented her becoming George’s official wife, she was intensely proud and refused to live as a mistress. Hated by the press and denied by her husband when it suited him, Maria could have turned into a bitter woman. Instead, she led a useful and active life, refusing to let her wayward husband ruin her. George’s official wife, Caroline of Brunswick, was of a different temper. A lively tom-boy, she resented George’s treatment of her and caused mischief for him whenever she could. His hatred for her climaxed in the famous adultery trial. George’s daughter, Charlotte, was caught in the middle of her parents. Precocious, wild and loving, she fought against the restraints imposed on her. Charlotte had an unhappy childhood, manipulated by her mother and smothered by her father. However, she was the darling of the English people. Before he became king, the majority of William’s life was devoted to an actress, Dorothea Jordan, with whom he had a happy home and ten children. But when unexpected deaths occurred in the royal family, William was left in the position of heir with a duty to continue the legitimate line. Abandoning poor Dorothea, he married Adelaide. Much younger than her husband and very plan in appearance, Adelaide had a hard task ahead of her. However, she managed to capture the heart of her husband and the English people. Her sweet nature and good sense made her an invaluable friend to the last Hanoverian queen, Victoria. London, 1788. The calm order of Queen Charlotte’s court is shattered by screams. Her beloved husband, England’s King, has gone mad. Left alone with thirteen children and a country at war, Charlotte must fight to hold her husband’s throne in a time of revolutionary fever. But it is not just the guillotine that Charlotte fears: it is the King himself. Her six daughters are desperate to escape their palace asylum. Their only chance lies in a good marriage, but no Prince wants the daughter of a madman. They are forced to take love wherever they can find it – with devastating consequences. The moving true story of George III’s madness and the women whose lives it destroyed. Laura Purcell lives in Colchester, the oldest recorded town in England. She met her husband working in Waterstones bookshop and they share their home with several pet guinea pigs. 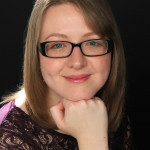 Laura is a member of the Historical Novel Society, The Society for Court Studies and Historic Royal Palaces. She has recently appeared on the PBS documentary The Secrets of Henry VIII's Palace, talking about Queen Caroline's life at Hampton Court. Laura’s novels explore the lives of royal women during the Georgian era, who have largely been ignored by modern history. Her debut Queen Charlotte was originally self-published as God Save the King, receiving excellent reviews as an Amazon bestseller in biographical fiction. You can find out more about Laura and read her history blog at www.laurapurcell.com. You can also follow her on Facebook, Twitter and Goodreads. 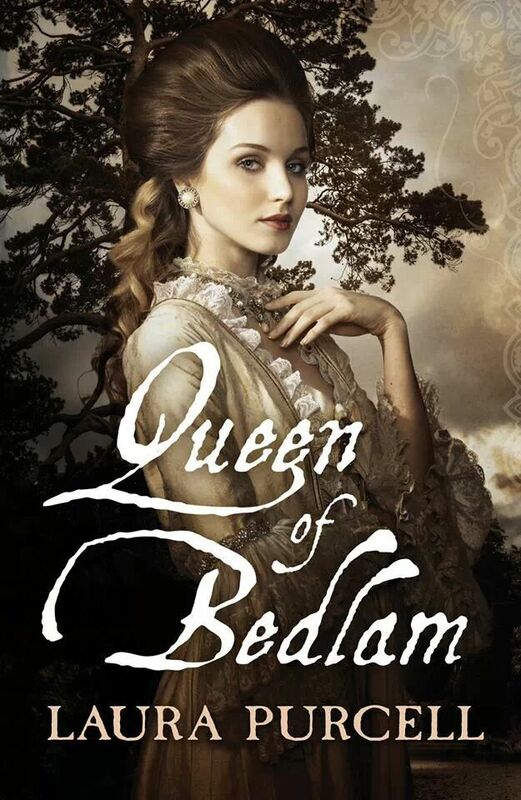 To win a copy of Queen of Bedlam, please complete the form below. Giveaway is open to US & UK residents and ends on June 19. Good luck! This sounds like an interesting read and will be great to read a story from her point of view. Thanks for the giveaway! I'm very interested in reading this book since I rarely read historical fiction about Georgian England. Thanks for a great giveaway! Sounds great..I would love to win it !! Cannot wait to read this book and the Georgian Women Series. Thanks for the giveaway! What a fascinating period in history! My English Hall/Hastings family came to America right around this time, so I'm fascinated by the period. Thanks for the opportunity! This book sounds very interesting - I have not read anything about her yet. I've read several HF novels set during the Georgian period but never a book about George's queen. Thanks for the giveaway. It must be awful to be the wife or daughter of a madman. This is an extremely interesting book. Thanks for having the giveaway. Sounds like an absorbing but difficult read; can't wait to get started, thanks. Wow, this sounds fascinating (both this book and your intended series). I love books that deal with the women or those usually deemed secondary characters in history. They always seem to give a new, different take on the history we have already read. Thanks for the awesome post and giveaway! Book&series sounds perfect for me. I'm looking forward to the new series and the chance to get in on it from the beginning. George III is a fascinating figure in world history and I imagine Queen Charlotte is as well. Thanks for the chance to win. I find it interesting - all the strong women surrounding the kings. Rarely do we have a single person driving history, there being so many people who help or defy the ruler (whoever s/he may be). I have had this title on my TBR list ever since it first came out as God Save the King. I will now definitely move it closer to the top! Great post. Interesting to focus on the women. I had never thought of the life of the daughters of King George III so this looks like an interesting series. This is a side of history we rarely hear about. I have never considered or knew anything about George III's family and what happened to them. This will be an amazing series looking at these women who are often a footnote in history. I will love reading about George III's the madmans family. A unique view of this historical event. 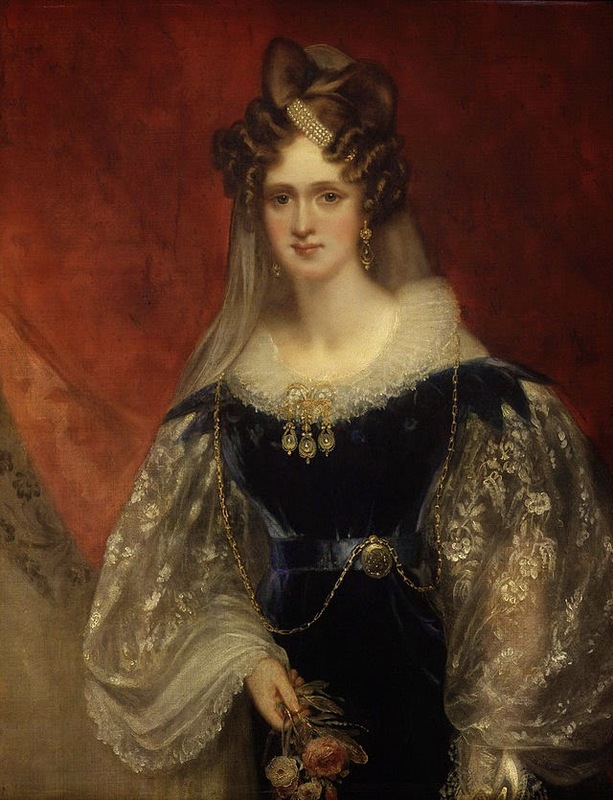 The painting of Adelaide of Saxe-Meiningen is beautiful! This novel sounds amazing! I haven't read much on King George and I think this would be a great way to start! I have never read a novel about these royals and know very little of the details of their times. Eager to learn and get absorbed in new characters and new (to me) events! Thank you, Amy!